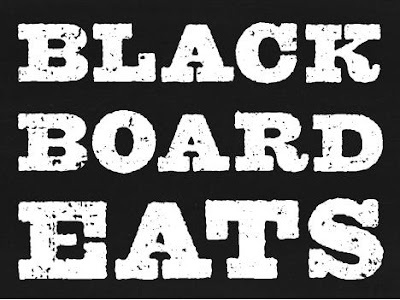 If you're reading NYCRD, you're probably aware of Blackboard Eats. In short, for a 24 hour window they offer passcodes for 15-40% off meals or free food to higher-end restaurants in multiple cites, including obviously, NYC. Yesterday they announced via email to their consumer base that they are now charging $1 per passcode, or $20 for a yearly membership. Over the past year, we’ve really enjoyed bringing you the best handpicked deals at the top spots with reviews by our seasoned team of food editors. To keep up with our growing subscriber base, we will now be implementing a small service fee of $1 per passcode. Don't worry, you will only have to enter your credit card once and we will still send free specials your way from time to time. Alternatively, you can purchase a BBE Annual Membership for $20, which covers a year's worth of service fees for specials in your city. Click here to upgrade to an Annual Membership. As you have probably already discovered, you can save as much as $60 or even more with one passcode. Whether you choose the BBE Annual Membership or to pay-as-you-go, it's an unreal deal. In other news, we have listened to all your feedback and will be introducing some convenient new features: Shiny new mobile apps are coming your way, and stay tuned for new specials called "Pop-Ups," popping into your inbox soon. Thanks from everyone here at BBE for your continued loyalty and support. I personally will not pay for the yearly membership, but I might pay $1 for a code if the deal looks really great. I'm definitely miffed that the codes are no longer free. I think we can all agree that world does not really need more Groupons, and this seems to be a step in that direction. Disappointing.